How to Make Money from Apps? 6 ways that actually work! There are a number of different ways to earn money from your app that you must explore and research on. Some of these ways might need you to charge your customers while others might not. There is no ideal method or way to earn money from your app, and what would work the best for you is totally dependent on the services you are offering or your business model. When you are building an app yourself, it is important that you understand what the best suited way would be to monetize your free app and bring in some enviable revenue. So, let’s get started! This is probably the easiest and the most popular way to make some money with your app. The way this works is that you let the advertisements show on your app. As the app owner you get paid according to the number of impressions their ads make or the clicks they get, and the type of ads you are offering. When you are allowing people to put up a video ad, you would get paid considerably more than a banner ad. However, you would have to weigh in whether your customers would have the patience to watch the video ad whenever they use your app. Not only is the type of ad important, but also the duration for which the video ad would run is of special significance as is the frequency with which you are going to show it. These factors would help you hone your business model which you are basing on advertising. BONUS: One interesting way in which you can earn money from your app is by not showing ads. I’m serious! You can earn money from your users by offering them an ad free version of the app by buying an upgrade. There are multiple platforms for doing this. The most popular one is Admob from Google. At Appy Pie, we are offering Appy Jump which is a great way to monetize your app and earn back all the investment you put in. This feature is more relevant from the users’ perspective. In this revenue model, users can unlock some additional features or levels after buying an upgrade. In this model, an app can offer any extra bonus, any kind of premium content, virtual currency for the game, or unlock any extra level. 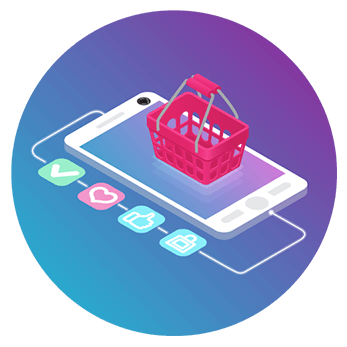 The in-app purchases that an app owner can offer may be consumables like virtual currency or non-consumables like advanced levels, maps, or other kind of virtual merchandise. From among the most popular mobile apps more than 50% make use of in-app purchases to earn revenue. In future, the number of such apps is only going to increase. This strategy is based on the freemium model, where you would be offering your app for free, but offering the premium features, advanced levels or access to premium content for an upgrade. Quite a popular model, in fact! 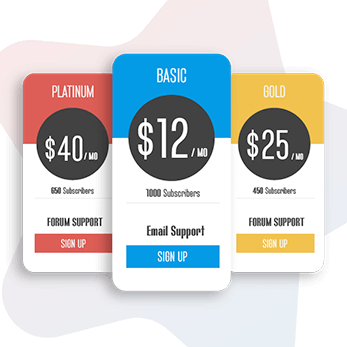 The subscription model is a highly effective one and presents quite a fair deal for both the parties involved, the developer and the app user. Here, your app would be offered to the users for free and be able to access some of the content without any charges. 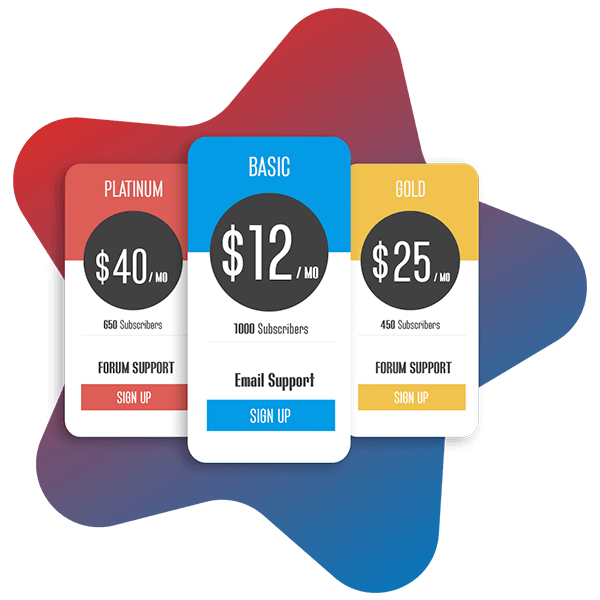 Once the users begin enjoying the app and find some value in its offerings, they can upgrade to a paid subscription which would offer them unlimited, or staggered access to the app content. Another similar model is where users get a free trial period and enjoy unlimited access to the app for a limited time period. Once that time period expires, the users is blocked and would have to buy the subscription to use the app beyond the trial period. You have spent a whole lot of time, money and other resources on building your app. It is only fair that you would want to put a tag on this final product. This means if you were to offer your app for $0.99 and got a million downloads, you are almost at a million-dollar milestone for app revenue. But there are contradictory views about its effectiveness. The global statistics indicate that the mobile phone users do not have the habit of spending money on their apps. The numbers also say that there is not much money to be made by putting a price tag on your mobile app. In the year 2017, the free mobile apps were downloaded for more than 250 billion times. However, the number of downloads for mobile apps stopped only at 15 billion! Another effective strategy but only works well only if you as an app owner can find a sponsor with similar or same target market. 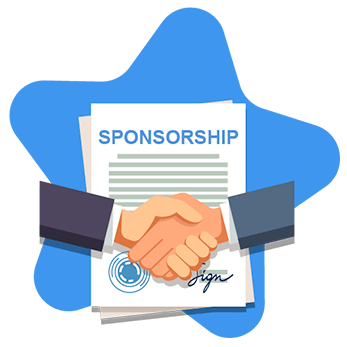 Once you get the right sponsor, you can white label the app and can adapt their app design to match the sponsor’s brand. The developer would have to build a niche app for customized app for customized users before launching the app on behalf of the Sponsor Company or Brand. Now, this can be even your local barber shop or a popular restaurant. There are two different ways in which you can workout a deal. This strategy can actually be quite a lucrative proposition. The app developer, you in this case would get the benefit of the existing web traffic and brand loyalty that the sponsor has to offer. This can actually help you in promoting the app while expanding your user base. 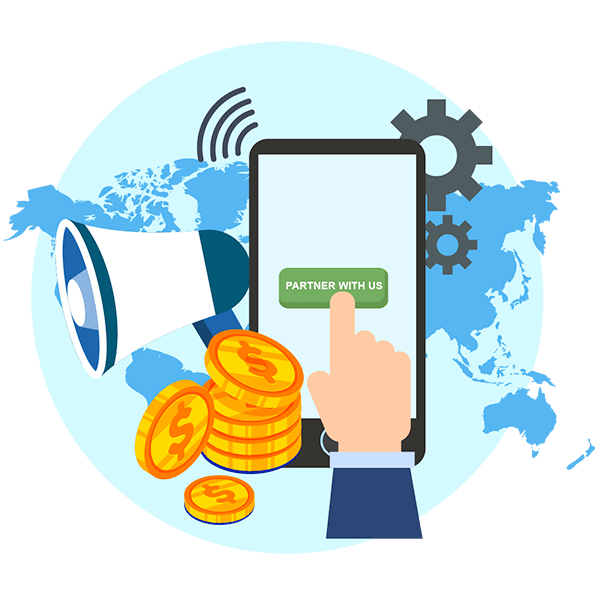 A mobile affiliate network is essentially a mobile platform which brings the mobile advertisers and affiliates on a common ground. 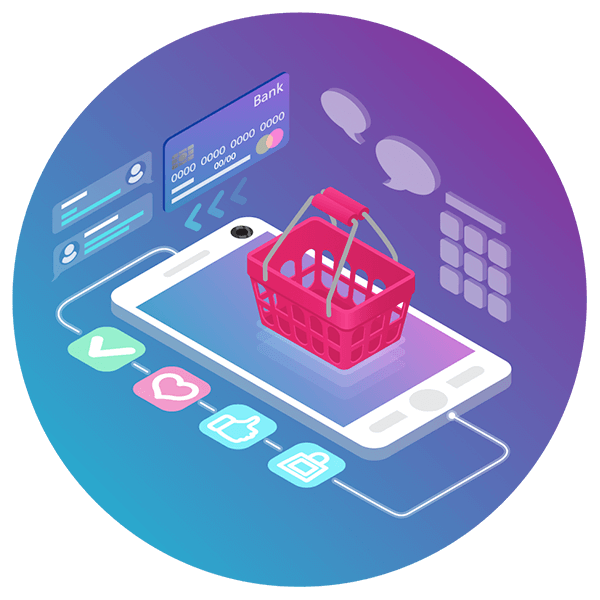 While the mobile advertisers may be the mobile app owners or may be a business that sells a product or service through mobile web, the affiliates here carry out performance-based advertising for the advertisers. Here, by joining a mobile affiliate network, you would be advertising relevant apps, products, or services being offered by your affiliates and earn money from it. This revenue can either be in the form of a cost per action where you can earn money every time someone clicks on their ad, installs their app, or carries out any other (desired) action. The second form is the revenue sharing model where you would receive a certain percentage of revenue that you have managed to generate for the advertiser. You can enroll on any of these platforms and your app revenue is going to soar up exponentially! Here’s something a little extra, just for you! A BONUS video from Abs, our Founder, CEO that talks about all the different ways in which you can make money from the app that you just built on Appy Pie! This list of some really lucrative ways to make money from your app should help you get over any doubts you might have had about building your own app! Now comes the fun part! You can build your own app without learning to code in 3 simple steps. All you need to Get Started is go to appypie.com and your journey to making money starts there! There was a time when making money from mobile apps was a questionable idea. Times have changed, so has the industry. Not only are people recovering their cost of building an app but are also making a fortune with it. There are a number of ways in which you can make money without your app users having to pay a single penny, while in others your app users generate your revenue. There is no ‘correct’ method here, but different methods may be correct for different requirements. The idea here should be to research and explore all possible methods, and maybe even try some of them hands on, before finalizing which way you plan to go. 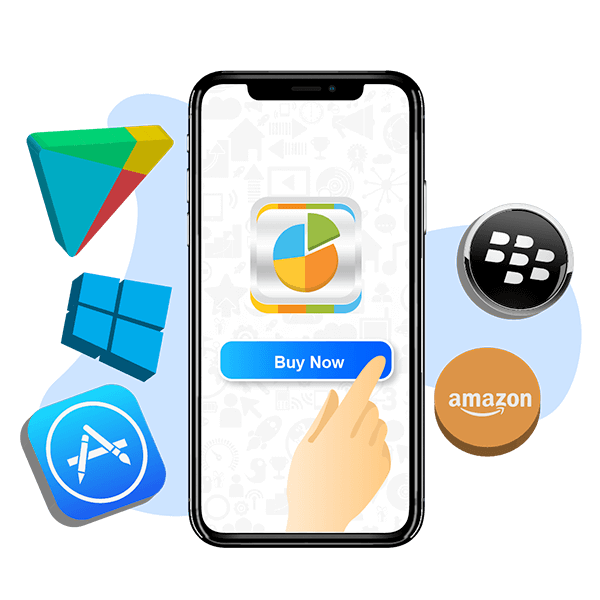 In-app purchase is a monetization technique that allows app users to purchase goods and services from within the mobile app using their smartphones. In-app advertising is one of the most popular monetization strategies, in which app owners get paid to serve ads on their app. 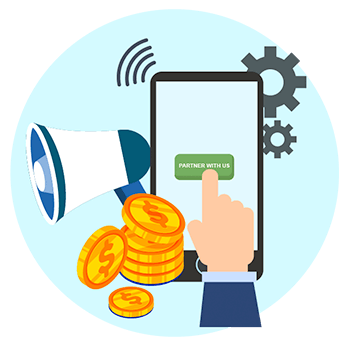 A monetization tactic, affiliate program enables app owners to generate revenue by allowing others who target the same audience – “affiliates” – to earn a commission by recommending the product to others. 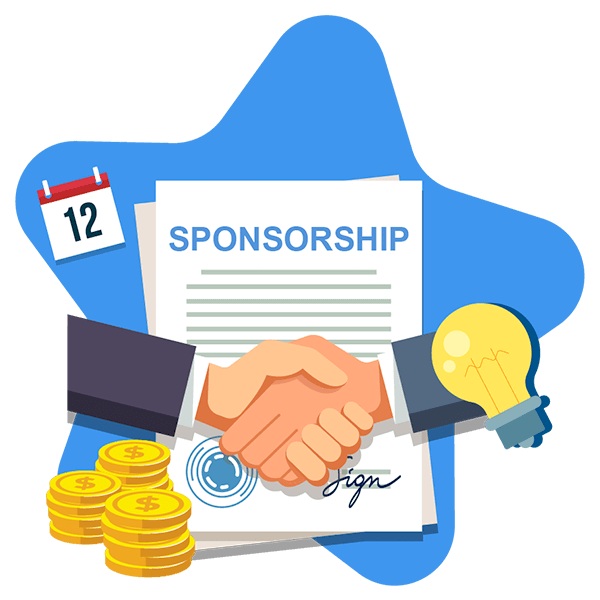 Sponsorship is a great way to earn money from your app but make sure you find a sponsor with similar or same target market. 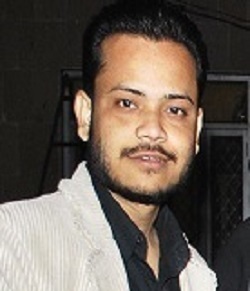 Aasif Khan is an SEO specialist with an experience of 10+ years in the digital marketing industry. Today, he is an expert in SEO, SMO, SEM, and is also one of the top contributors to Appy Pie Blog. He writes about the ongoing trends in the digital marketing industry. He loves working out in the gym and also spares some time for hobbies like playing cricket and reading books among other things. How cost effective is Admob to promote my app that i created recently.. Is going for rather less know promotion platform a good option? You can try out other platforms, but I would strongly recommend Admob for promotion. A lot of great information, will be looking more into this, and sharing with others also. Really Nice Article. I would like to Make a free App and Make Money with it.. Looking forward to more posts like this.. Thanks! Awesome article, I think i am gonna try and create a free App myself and see how this goes.. Thanks and I am waiting for next article. Amazing article, got to know how an app can be made without any coding knowledge. Really helpful!!! Everything has been covered in simple way to build you dream app in this article. Awesome article. Amazing post guys.. really very helpful article for no technical person who have idea but no coding skill. Very good article to convert an Idea into an App(Free App).. great platform to create and publish Free apps. I never thought to create an app by myself, but here I am working on my app. Thank you, you guys saved my thousands of bucks, to take my business on mobile. It is a great guide for some one new in this field. Simple and easy steps To Make an App & Make Money. One of best innovative article for free mobile app creation and to grow our bussiness…!!! The pictorial presentation step for app creation is awesome. Easy steps to create apps without coding and promote app without spending huge $$. Suits all types of business ideas. Thanks team. Absolutely! This is an awesome article, Thank you for all this information!,I found this to be very useful. I have just got into Ads method and it is a great way of building a passive income. Nice article and platform to make apps and money. Great!! article, this is really helpful. I would like to Create a free App and Make Money with it. Really nice and amazing article to get more information on how can we build an app.. and its really nice way to learn. Thanks and waiting for new article. This article have excellent suggestion to build your dream app. Amazing tools, using it from last 2 years. Thanks AppyPie for helping me make dollars. Usefull article, My students are following this and creating nice apps. Thank you so much. Thanks for providing a lot of information. It’s really helpful to create an app without knowledge of coding, looking more into this, and sharing with others also. It is awesome! I have used this platform to create my own app. Very easy process and support is very quick. Awesome Website to create apps easily. I was searching for platform to create my own app for business. I found appypie is most suitable in list of available platforms. I see regular enhancements in features and design. Thanks for such an amazing platform. Thanks for this knowledgeable article, Superb initiative by you guys. Really appreciate !!! I love it. Is so intuitive! Great article for making an app without coding. A must read article for App-preneurs! Excellent ! it really help us to initiate and launch our App. Really Very helpful post for building an app. I really like this website, It is very easy to use. Great website and useful article. I was looking this type of website for create an app, and finally i got. Thanks! Thank you for sharing fruitful information with us. Thanks for the nice listing. Very useful. I’ll keep this in mind. 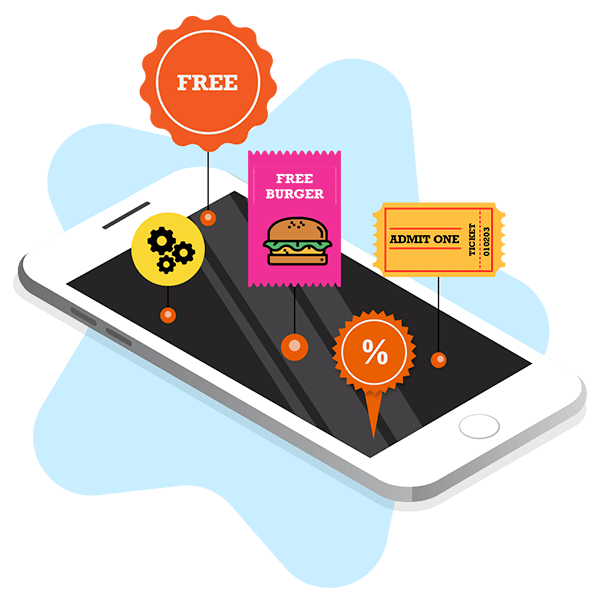 In-app purchasing is a very popular strategy used in the freemium app model. You can sell virtual or physical items, offer premium functionality or bonuses, block ads, or open new app content. Such transactions are controlled by the app store and the owner gets a commission from every trade. But, this model is only plausible and lucrative for top apps in the segment that have many users. This system has complex payment system development and integrations which are harder to implement. Besides, a disadvantage of this model is the high commision fee (30%) taken by app stores. Great information on In-App Purchasing. Thanks Bessalitskykh! There are many ways to earn money through mobile app. 1). Advertisement – This is the most common way to make money through the app. With Appy Pie you can monetize your app to display the ads in the app and earn through google. 2). You can publish your app as paid app to the store for users. 3). You can sell items and services through app. 4). IAP (In-app purchase) – By IAP feature you can provide some premium features at an additional cost.